Hypothesis syncs annotations across copies of the same PDF based on a “fingerprint” or unique ID. That means you can share a PDF via email (or other means) and anyone can download and annotate that PDF with you. This tutorial will walk you through the process of annotating PDFs that are saved locally to your computer. This step is usually required for PDFs created from scanned documents. If you can easily select a line of text and then copy and paste it elsewhere, your PDF is ready for annotation. Otherwise, consult these instructions for getting your PDF ready for annotation. If you are using the bookmarklet for Firefox and other browsers, you can skip this part. 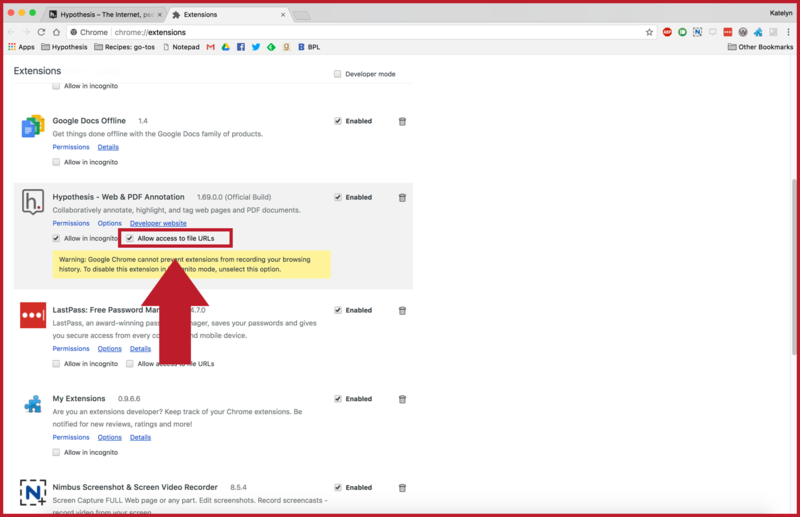 Chrome users will need to make a one-time adjustment to the browser’s default settings by following the steps below. Note: You will only need to go through this process once if you are signed into Chrome. Even if you use a different computer, Chrome will remember your preferences once you sign in to your profile. In the menu bar at the top of your screen, click File and select Open File… (alternatively, you can use ⌘O on Macs or CTRL O on PCs). 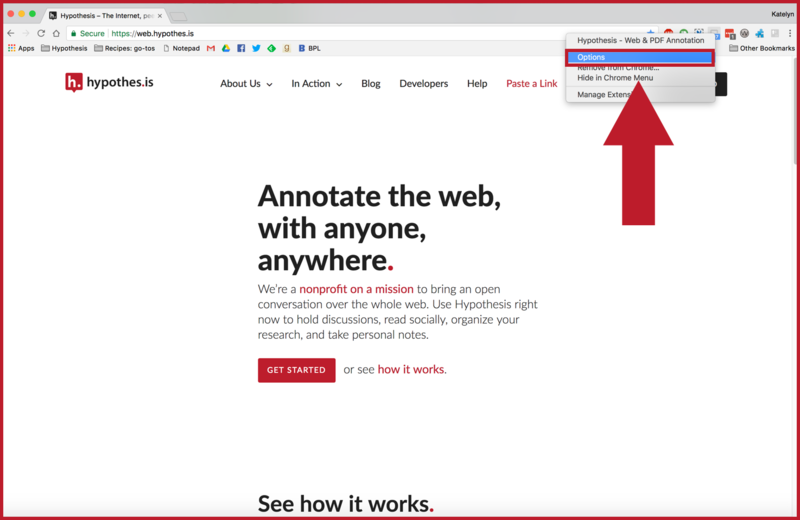 Navigate to the PDF you’d like to annotate, open it, and activate the Chrome extension or bookmarklet. Hypothesis syncs annotations across copies of the same PDF based on a “fingerprint” or unique ID. That means you can share a PDF and others will be able to download and annotate along with you. Download the PDF and then open it in your browser. 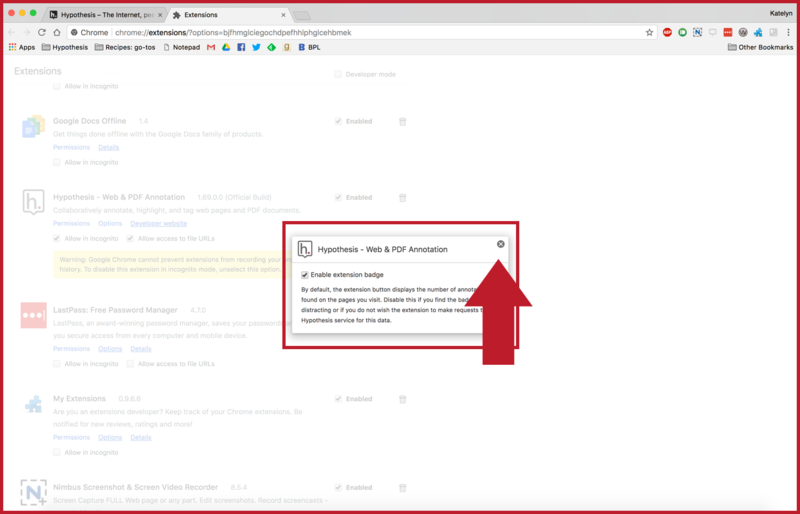 Activate the Hypothesis extension in Chrome or click on the bookmarklet if you’re using another browser.